Roomy, colorful, and one of a kind. Because it's woven from scrap leather, no two are exactly alike. 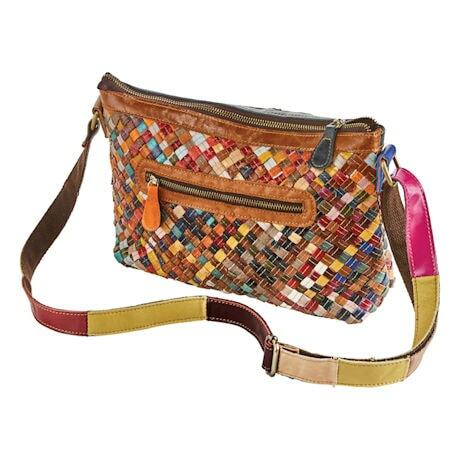 Bag has a zip top, multicolored pieced strap (adjusts 24-48"), outside zipper pocket, and inside zipper pocket. Poly lining, gunmetal hardware. 13"w x 8"h x 3 ½"d. Imported.